How Do I Get A Seat On The Bus? Where are we going in 2017-18? Check back for more details but here is the "teaser"! de Young Museum for the Teotihuacan: City of Water, City of Fire exhibit and lunch at the museum. Filoli House and Gardens special holiday tour! Legion of Honor for the exhibit Klimt & Rodin: An Artistic Encounter with lunch at the museum. Fort Mason for the Textile and Tribal Arts Show, a special tour with three exhibitors and lunch at Greens. The Quilt Museum in San Jose. San Francisco Museum of Modern Art for a docent tour of the permanent Photography Collection with lunch at the museum. Museum Friday adventures! NEW 2017-2018 Schedule! Once a month on the 2nd Friday, we take a private bus to a special exhibit. Your Museum Fridays organizers (Ginny Bechtold, Judy Frost and Jean Pressey) have planned trips and in some cases, a special lunch! Museum Fridays are almost always the 2nd Friday of each month, October through April. We usually hire a bus – no one has to drive, park or “ready” your vehicle for carpooling. Each excursion will depart from the Cal Ave train station, easy parking or walking. Most trips leave at 9am sharp and return at 3pm. Occasionally, this time changes depending on museum hours. You will get the correct time in an email before the trip. Whenever possible, a lunch reservation will be made for our group either at the museum or a nearby restaurant. Cost of lunches in restaurants will vary. If this interest group is for you, please email Judy Frost to be added to our list. HOW CAN I GET A SEAT ON THE BUS? Bus fare must be paid 1 month in advance of the Museum Friday date. This is a requirement of the bus company to book the vehicle. We cannot refund cancellation less than 30 days from the trip. Make checks payable to Judy Frost, NOT to The Woman’s Club.. This is not a “money-maker”. Judy will be charging the bus on her personal credit card. We are reimbursing Judy, not the Woman’s Club. Include a note with your check specifying which Museum Friday dates you are signing up to attend. The James R. Browning U.S. Court of Appeals Building is a historic post office and courthouse building. It is a courthouse for the United States Court of Appeals for the Ninth Circuit. Completed in 1905 as the U.S. Courthouse and Post Office, it was intended to represent the affluence and increasing importance of the United States as it became a world power. The building survived both the 1906 San Francisco earthquake, and the 1989 Loma Prieta earthquake. U.S. Treasury architects worked on designs for the building, with Supervising ArchitectJames Knox Taylor (1857-1929) playing a lead role. Taylor selected a design influenced by Italian Renaissance architecture with magnificent Beaux Arts grandeur. To achieve the high level of craftsmanship specified for the interior, skilled artisans were brought from Italy. Groundbreaking took place in 1897 and the building opened in 1905 to acclaim as "a post office that's a palace." In 1876 Governor Leland Stanford purchased Mayfield Grange, about 650 acres along San Francisquito Creek near Menlo Park. Over the next ten years, he continued to acquire property in the area until his holdings included over 8000 acres of orchard, vineyard, grazing land, stables, and training tracks. Two dozen buildings, fifty paddocks and eight tracks were on the trotting farm. At its height, the farm employed 150 workers and boarded 600 horses. It's true: Oakland, so long in San Francisco's shadow, has morphed into a culinary destination. This tour explores the 1870s business district where elegantly restored, commercial brick buildings now house offices, galleries and eateries. The historic district is a visible reminder of Oakland's designation in 1869 as the Western Terminus of the Transcontinental Railroad. Lincoln Park in San Francisco, California, was dedicated to President Abraham Lincoln in 1909 and includes about 100 acres (0.4 km2) of the northwestern corner of the San Francisco Peninsula. Lincoln Park is the western terminus of the Lincoln Highway, the first road across the United States of America. n 1923, the park was chosen as the site of the California Palace of the Legion of Honor. 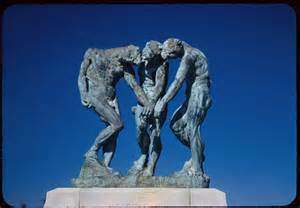 The San Francisco Holocaust Memorial, designed by George Segal, was dedicated in the park in 1984. Lolly Osborne or Sue Krumbein to be added to our list. Your suggestions for future programs are welcome. The Legion of Honor in SF for “Wild West: Plains to the Pacific”. If you are a museum member, please bring your card so others can get in free. Lunch on your own at the museum cafe. Meet at Cal Ave train station for a prompt 9am departure. TOTAL COST $32. And click for even MORE about Professor Nemerov! Docent tour of SF Mission Dolores followed by lunch at the fabulous Restaurant LuLu's on Folsom Street. LuLu's family-style meal has become a favorite of the Museum Friday ladies. This is our third year lunching at LuLu's! TOTAL COST $90. NOTE this date is also the WC Holiday Party. Museum Friday adventures! NEW 2016-2017 Schedule! Once a month on the 2nd Friday, we take a private bus to a special exhibit. Your Museum Fridays organizers (Eileen Brooks, Ginny Bechtold and Donna Bohling) have planned trips and in some cases, a special lunch! Museum Fridays are almost always the 2nd Friday of each month, September through April. 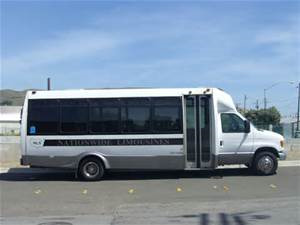 We hire a bus – no one has to drive, park or “ready” your vehicle for carpooling. Museums and venues will have an admissions charge. If you are a member, bring your card! Many museums will also let you take a guest in for free. If this interest group is for you, please email Donna Bohling to be added to our list. The bus fare to museums is $32 per trip and covers both getting to the museum and getting back to Palo Alto (round-trip). Make checks payable to Eileen Brooks, NOT to The Woman’s Club.. This is not a “money-maker”. Eileen will be charging the bus on her personal credit card. We are reimbursing Eileen, not the Woman’s Club. Mail or drop checks off at Eileen’s house - 780 Montrose Ave, PA 94303. Montrose Ave is across the street from Cubberly, on the other side of Middlefield. Include a note with your check specifying which Museum Friday dates you are buying your bus seat. You can buy on a month-by-month basis or you can sent a check to cover multiple dates. We need to know your dates so you will have a seat on the bus. One of the greatest English painters of the nineteenth century, experience the first major survey of Turner’s late career, when the artist displayed a fierce engagement with grand themes of nature, history, and religion. There is a docent tour of the collection at 11:30 am and several other tours of deYoung exhibits available throughout the day. Lunch in the Museum cafe. SFMOMA Organized in partnership with the Museum of the African Diaspora (MoAD), this exhibition exploring how portraiture has evolved from a form of personal identification to a genre as invested in fiction, subversion, stereotype, and fantasy as it is in the description of physical traits. The carefully selected artworks — many exhibited for the first time as part of SFMOMA's collection — encompass paintings, sculptures, photography, media art, and installation. We will arrange for a docent tour. Buffet lunch in the neighborhood at Amber India on Yerba Buena Lane. 2015 marks the centennial of the Panama-Pacific International Exposition (PPIE), the San Francisco world’s fair that celebrated the opening of the Panama Canal and the city’s reconstruction following the great earthquake of 1906. To mark this anniversary, Jewel City revisits this vital moment in the inauguration of San Francisco as the West Coast’s cultural epicenter. The landmark exhibition at the de Young reassembles more than 200 works by major American and European artists, most of which were on display at this defining event, with examples that signal the key artistic trends of 1915. Lunch in Museum cafe. December 11 - San Francisco City Hall Centennial Tour Join us for a very special holiday trip! We have booked a docent-led Building Centennial Tour. Tour Fee is $5. Lunch will be a LuLu's (same as last December). Drawn from and organized by the Museum of Fine Arts, Boston — world renowned for their Japanese, American and European collections —Looking East consists of more than 170 objects, including decorative arts, paintings, prints, drawings and textiles. The Asian Art Museum is the final stop on this exhibition’s international tour and your last chance to witness the iconic results of an invigorating cross-cultural moment. Although most of us have viewed this collection, every time we see it we discover something new. We will arrange for a docent private tour. Lunch either at Cool Cafe at the Cantor or catered in the Anderson Collection. Extra fees may apply, depending on lunch decision. This world premiere retrospective of Oscar de la Renta’s work celebrates the life and career of one of fashion’s most influential designers. The exhibition will include more than 100 ensembles produced over five decades. Thematic sections will trace de la Renta’s upbringing in the Dominican Republic; the rise of his career in Spain, where he gained his first commissions; his formative years spent in the world’s most iconic fashion houses; and his eventual role as a designer for many of the most influential and celebrated personalities of the 20th century. Museum Friday adventures! NEW 2015-2016 Schedule! Once a month on the 2nd Friday, we will take a private bus to a special exhibit. Your Museum Fridays organizers (Eileen Brooks, Ginny Bechtold and Donna Bohling) have planned trips and in some cases, a special lunch! Museum Fridays are always the 2nd Friday of each month, September through May. We hire a bus – no one has to drive, park or “ready” your vehicle for carpooling. Round-trip cost of the bus will be $28. The bus fare to museums is $28 per trip and covers both getting to the museum and getting back to Palo Alto (round-trip). Bus fare must be paid 1 month in advance of the Museum Friday date (always the 2nd Friday of the month - put on you calendar!). This is a requirement of the bus company to book the vehicle. We cannot refund cancellation less than 30 days from the trip. Include a note with your check specifying which Museum Friday dates you are buying your bus set. You can buy on a month-by-month basis or you can sent a check to cover multiple dates. We need to know your dates so you will have a seat on the bus. WHERE did we go in 2014 - 2015 ? September 12 – de Young Museum: Modernism from the National Gallery: The Robert and Jane Meyerhoff Collection brings paintings by the great masters of the post-war world to San Francisco. The de Young will feature works by Ellsworth Kelly, Roy Lichtenstein, Robert Rauschenberg, Jasper Johns, and Frank Stella, among others. See the very best in California landscape art from the museum’s holdings, including works by Ansel Adams, Thomas Hill, David Hockney, Arthur Mathews, Richard Misrach, Albert Bierstadt, Imogen Cunningham, Eadweard Muybridge, Edward Weston, Chiura Obata, and more. Houghton Hall is one of England’s grandest country houses, built in the 1720s by Sir Robert Walpole (1676–1745), Britain’s first prime minister. This exhibition captures an intimate look inside Houghton Hall amid a re-creation of some of its spectacular interiors. Key highlights include works by British painters: Thomas Gainsborough, Sir Joshua Reynolds, Roman marble busts, 17th century tapestries, Sevres porcelain. This tour includes many areas of the church not typically seen by casual visitors such as the interior of the Chapel of Grace, the Vestry to view the collection of vestments, the Gallery with sweeping views of the nave, and a walk up the 94 stairs to the top of the South Tower for a unique view of the San Francisco skyline. Tour tickets will be $25. Three-Coirs fixed price lunch at LuLu's in SF for $45. January 9, 2014 – Asian Art Museum: Roads of Arabia: Archaeology and History of the Kingdom of Saudi Arabia. Roads of Arabia features objects recently excavated from throughout the Arabian Peninsula and traces the impact of ancient trade routes and pilgrimage routes stretching from Yemen to Iraq. We have a docent all lined up for this tour. February 2015 - San Jose Museum of Art to see the exhibit MOMENTUM: AN EXPERIMENT IN THE UNEXPECTED. Momentum sets out to disrupt the status quo and show that art is anything but just an inanimate object. This exhibition looks at works in the collection from various eras in which artists explore notions of movement and the passage of time—two subjects that are not at all mutually exclusive. SJMA invited creative movers and shakers from the realms of design, comedy, performance, music, writing, dance, and other fields to disrupt this exhibition of its permanent collection with their personal artistic responses to the art on view. March 2015 - Alcatraz Island’s special exhibit by Chinese artist Ai Weiwei. It's no coincidence that Ai Weiwei's latest exhibition is located in Alcatraz, a former jail that sits on an isolated island off the San Francisco coast. The exhibit, called @LARGE explores human rights and freedom of expression in this series of new, site-specific installations inspired by Alcatraz Island. Themes of imprisonment, featuring prisoners of conscience from around the world is familiar territory for Ai, who was detained by Chinese authorities for 81 days in 2011 and still cannot travel out of China. You will be purchasing a ticket on the boat and lunch will be arranged for us off the island and the delightful Pier 23! April 2015 - We return to The Legion for a spectacular just-in-from NY exhibit, High Style: The Brooklyn Museum Costume Collection. Explore the glamour and sophistication of one of the world’s preeminent costume collections, whose fashions worn by American women reflect the nation’s tastes and transformations over the course of the 20th century. May 2015 - We return to the de Young for Botticelli to Braque: Masterpieces from the National Galleries of Scotland. Get moving and reserve your seat on the bus! The bus fare to museums is $25 per trip and covers both getting to the museum and getting back to Palo Alto (round-trip). Bus fare must be paid 1 month in advance of the Museum Friday date (always the 2nd Friday of the month - put on you calendar!). This is a requirement of the bus company to book the vehicle. Yes. If you are interested in renting our venue, please fill out our Rental Inquiry From on our website and someone will contact you to schedule a tour. Where can we park during an event? We only have on-street parking (2-hour limit on weekdays from 8am to 4pm; no limit on week-ends) but we have space for 2 vehicles on our driveway for caterers only. Day permits may be purchased on the 1st level of the Cowper/Webster garage or Bryant/Lytton garage or at City Hall (ground level, Revenue Collections). Cost is $25.00/day (July 2017). We do not have access to any discounts. Can we rent the Woman's Club for event honoring minors such as a Bar Mitzvah, Quinceañera, or Birthday? No, we only rent for events whose honorees are 18 or older. Children and teenagers are of course welcome to attend wedding receptions, memorial services, and birthday parties of relatives or family friends. We are located in a residential neighborhood. You may play loud music until 10pm, but after 10pm, music should be acoustic and/or at a reasonable volume. Do you provide audiovisual equipment? Bring an HDMI adapter if your device (laptop, iPad, tablet) does not have an HDMI port. The Club does not provide any HDMI adapters. Instructions on how to use the AV equipment will be provided at entry time. After touring our Clubhouse, you can place a 7-day courtesy hold if you are planning to rent our venue. Holds expire after seven days if we have not received an application with payment. Do you supply linens and china? No, you are responsible for getting all your table setting supplies. See our Rental Information page for details on what is included in your rental package. We do not recommend or endorse any caterers but could provide you some names upon request. Can I bring in food and prepare it for my event? The Club prefers and recommends that you hire the services of a professional, licensed caterer. We may allow you to have food delivered but it must be discussed and agreed to at least 30 days prior to the event. If food delivery is authorized, cooking using the stovetop is not allowed and all garbage must be taken away (garbage cannot be put in any of the Club's bins). You cannot use any open flame candles but you can use electric candles, votive candles, or hurricanes that contain the flame. When and how do we pay the rental fee? Payment is due when submitting your completed rental application. See our rental information page for more details on payment options. Payment by Electronic Fund Transfer (EFT) or check. We cannot accept credit card payments at this time. Why do I need liability insurance and how do I get it? For your protection and ours, the Woman's Club of Palo Alto requires all renters and catering companies to provide a general liability insurance that names the Woman's Club of Palo Alto as co-insured. The Certificate of Insurance must be received no later than 30 days prior to the event, which is also when the final payment may be due. *An Alcohol Endorsement coverage is required if alcohol will be served at the event. Note that alcohol may not be sold (i.e. "no host" bars are not allowed). Alcohol may not be served to minors. (OR) Contact your homeowner's or renter's insurance company to see if you can add event coverage (including alcohol) to your existing policy. What are your cancellation terms and conditions? Convenience fees for partial payment or processing fees are not refundable. Unfortunately, we are unable to give discounts as the rental fees pay for the maintenance of our historic property.